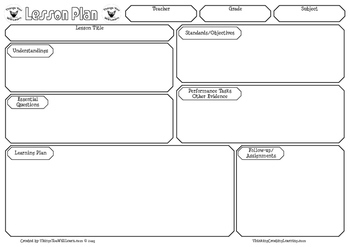 Backward Design Planning lesson plan templates (editable PDFs) in portrait and landscape. 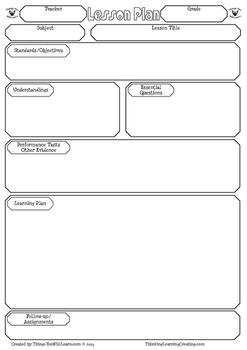 A second page is included for longer lesson plans. Two versions of each are provided. 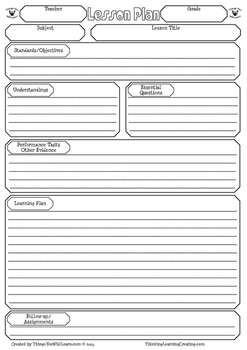 One with lines for completing your lesson plans by hand. The others are editable PDF files which work nicely in Preview (Mac) and Adobe. 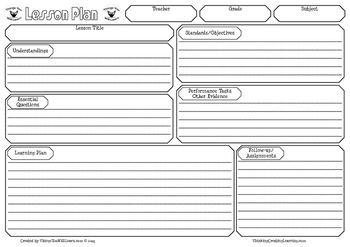 Lesson plan templates to assist with Backward Design Planning. More about Backward Design Planning at Edutopia. Rubric Templates for assessing projects and assignments. They are not for commercial use or redistribution but feel free to leave me a message on TPT should you have a request.